It's not often I get to indulge in purchasing yarn these days. Not that I don't want to, but all I have to do is take one look at my giant stash to feel guilty about the 10lb bag of yarny fun I lug home with me every now and then. That's why I've been giving in to my cravings lately. Sort of. I tend to save up my purchases for when I visit my other crafty friend down in West Chester. 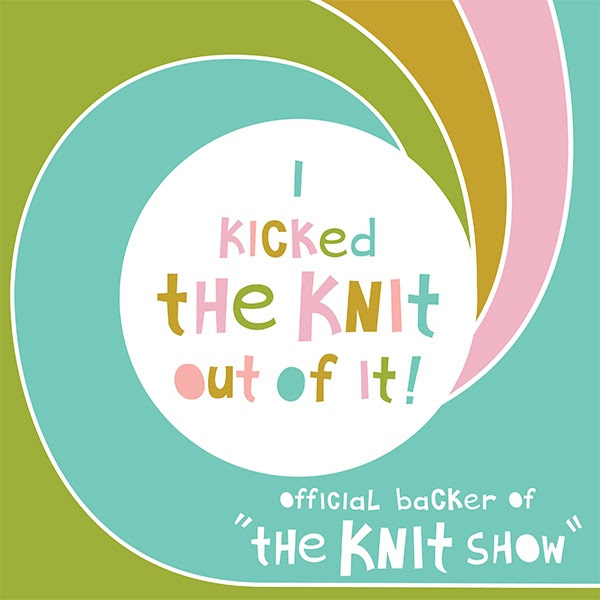 We have a problem where we visit her local yarn store and buy way too many knit and crochet supplies. At least the husbands don't really know about it because we go without them and just hide the goods within our current stash. 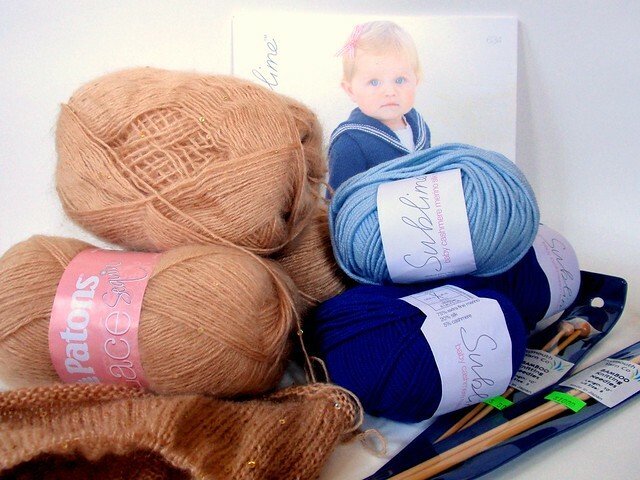 My friend is preggo with Baby #1, so I have plenty of projects for wee ones in the Ravelry queue right now. Don't have any of my own, so I might as well spoil someone else's! 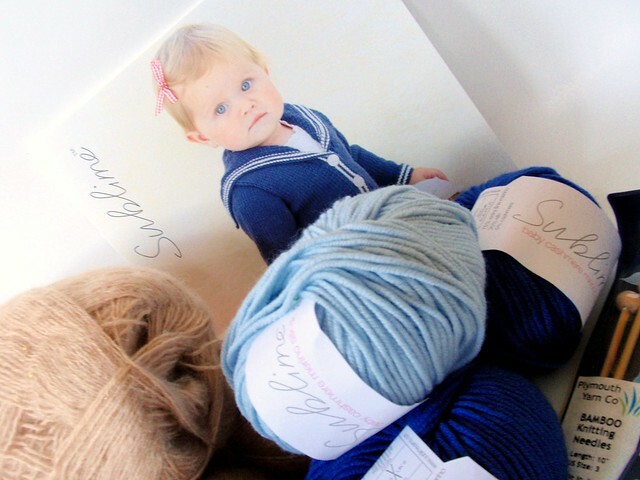 Together we picked out this Little Sailor pattern and some yarn (Sublime Yarns Cashmere Merino Silk DK). I even spoiled myself with some new bamboo needles from Plymouth Yarn Company. Apparently I had money to burn. 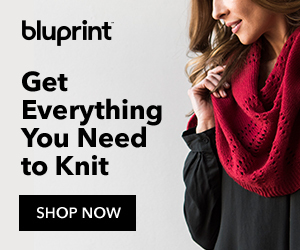 While at Garden of Yarn, we found a really pretty tube scarf that we both enjoyed. 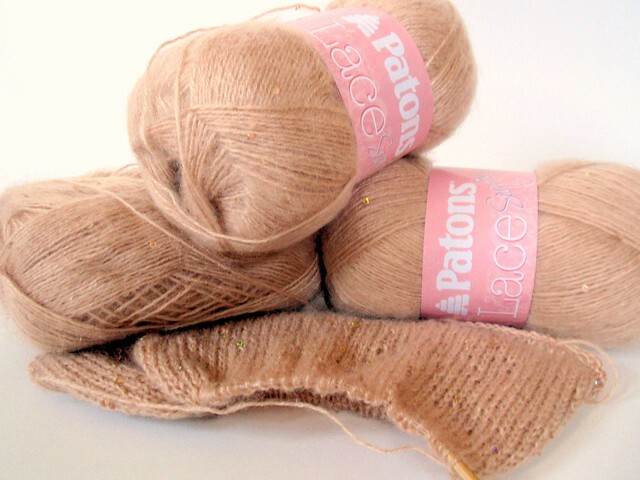 After making a quick trip to Joann's, we both wound up purchasing some Patons Lace Sequin to make our own. I'll have to block the darn thing on the edges, which I hate doing, but oh well. It looks great so far and I absolutely love the color. It's stockinette in the round, so it's perfect for days when I want to come home from work and not think about anything while watching mindless TV (I never said I wanted this summer to be productive). 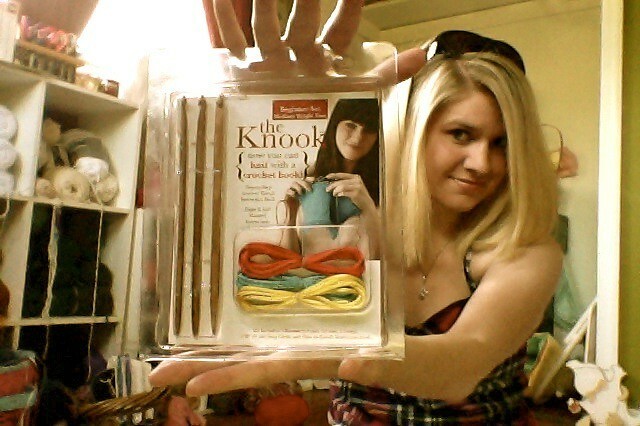 It's the new Leisure Arts Knook! That is, a combination knitting needle and crochet hook. 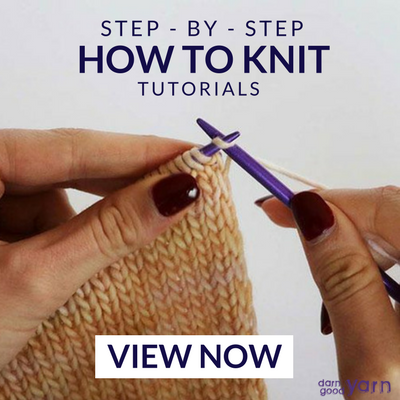 Unlike tunisian crochet, this method of crocheting produces fabric that looks exactly like knitting. I'll be testing it out this week and posting a review soon, so stay tuned. Needless to say, I'm a little excited. Newer Posti designed my own hat with robyn chachula!